A ceremony was held in Worthington on December 12, 2018 to celebrate the pending connection with Lewis & Clark. 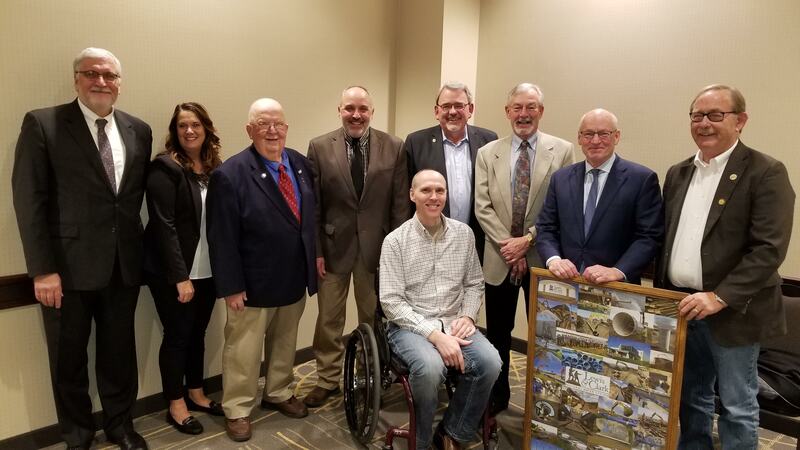 The ceremony was timed with the end of Governor Mark Dayton’s term, as well as the anticipated completion of the infrastructure needed to deliver water to the city. As it turned out, Dayton was not able to attend as he continued to recover from back surgery and construction delays have prevented water from flowing to the city, but that did not dampen the enthusiasm of the attendees from celebrating what Mayor Mike Kuhle described as a “game changer” for the community. 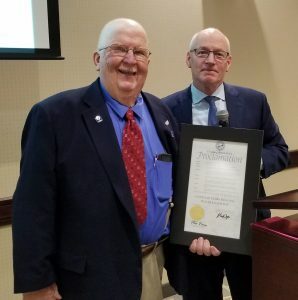 On behalf of the governor, MN Management & Budget Commissioner Myron Frans, presented Chairman Red Arndt with a proclamation declaring December 12, 2018 as “Lewis & Clark Regional Water System Day” in MN. 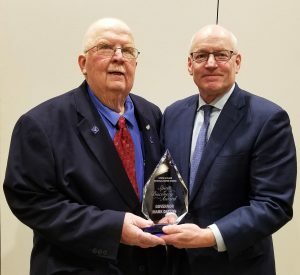 Arndt recognized Dayton with the Lewis & Clark Spirit of Discovery Award, which was presented to Frans. Speakers at the ceremony are shown in the above photo (left to right): Senator Amy Klobuchar’s Chuck Ackman, Senator Tina Smith’s Bree Maki, Arndt, WPU general manager and L&C director Scott Hain, State Sen. Bill Weber, WPU president Gary Hoffmann, Frans, Kuhle and State Rep. Rod Hamilton (seated).